You are here: Home / News / Uncategorized / Installing A Gas Line Isn’t For The Handy Homeowner. Do You Know Gas Line Codes? Plumbing Contractors Do! Code Requirements. Since gas is a dangerous, combustible fuel, regulations are in place to protect your property and neighbors. Licensed plumbing contractors understand the code requirements for running a gas line to your home. Permit Process. Most cities and counties in Virginia require a permit to run a gas line to your home. Ensure your project is lawful and hire a professional plumbing contractor familiar with the process. Sizing. The correct sizing of the piping and fittings for your gas line ensures your appliances and fireplaces operate safely and correctly. Install your own kitchen cabinets or flooring, but choose professionals when poor installation can affect your family and neighbors. Build A Relationship With Professional Plumbing Contractors. Not all professional plumbers have the training and certifications to install gas lines in Virginia. Choosing a local business with plumbers on staff who offer safe and efficient gas line installation saves you time, hassle, and money. 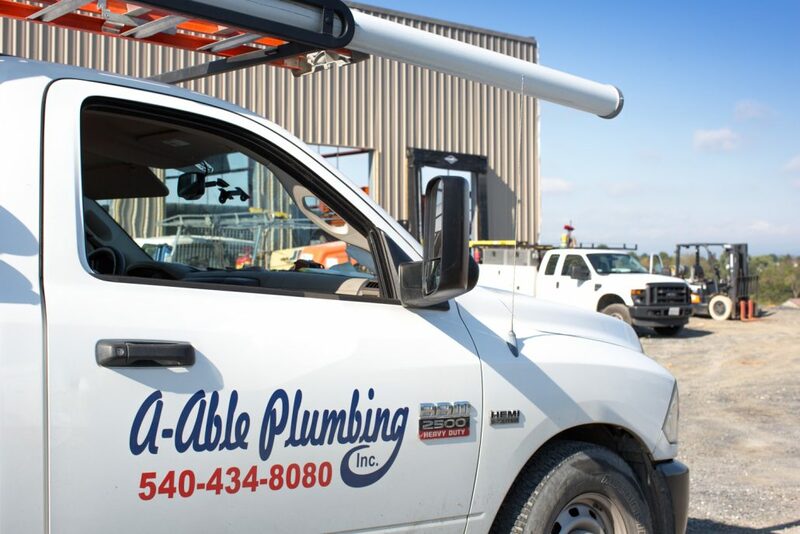 A-Able Plumbing’s team of professional plumbers have the expertise to ensure your piping is sized appropriately and safely connected at all points. We ensure all permits are submitted so your project is legal and verified to maintain your investment. By building a relationship with A-Able, you’ll have professional plumbing contractors committed to your job and your safety. Professional Plumbers Have The Resources Necessary To Get The Job Done Right. Professional plumbers have resources to ensure your gas line is installed properly. From flexible piping to black iron piping, we make the recommendations and procure the products that work best for your home or business. Our field experience gives us the tools to ensure all elements of your installation are handled appropriately and with care. Contact us to learn more about our services and products.